Noelle Chorney, owner of Tall Order Communications, is a content strategist specializing in web content migrations for government and large organizations. She is happiest when mastering complicated and seemingly impossible content challenges, which she learned to love as an interpretive planner and content developer for museums. Follow her on Twitter @kitchenamazon. 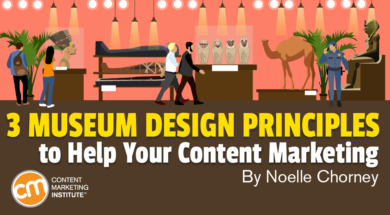 Museum content development and content marketing have one important principle in common: creating memorable experiences.